The Uninjured Victims Of The Virginia Tech Shootings Sunday marks the 10th anniversary of the deadliest campus shooting in U.S. history, which killed 32 people and wounded many others. Those who survived with no injuries carry emotional scars. 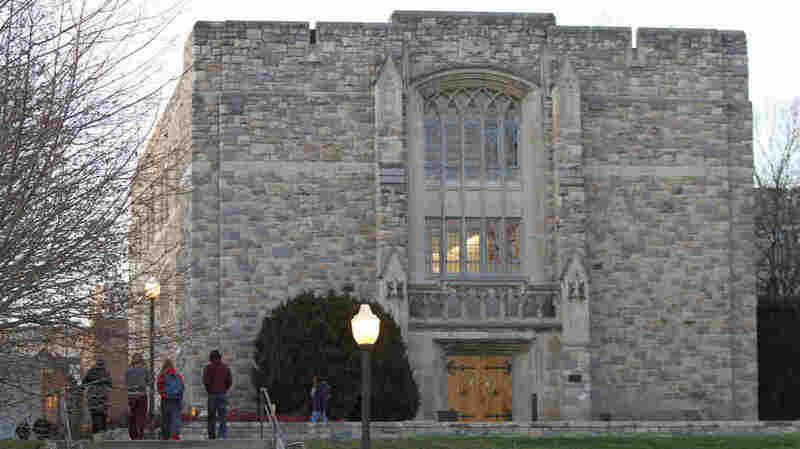 Norris Hall was one of the sites of the 2007 Virginia Tech shootings in Blacksburg, Va. This weekend marks 10 years since the deadliest campus shooting in U.S. history, at Virginia Tech. Thirty-two people were killed and many others injured on April 16, 2007, on the campus in Blacksburg, Va. Still others witnessed the shooting and were physically unharmed, but carry psychological wounds that they've also spent the last decade recovering from. Lisa Hamp walked out of her computer class alive that day, but she carries memories that will never go away. They begin, as most memories of tragedies do, with mundane details and normal moments in Hamp's classroom inside Norris Hall in the moments before the shooting. "[We were] taking notes — typical computer science class. They're putting some code on the board and we're just writing it down, confused," she says with a slight laugh. "And once we heard the sounds, everyone sort of stopped. It was like, 'What's going on?' "
Hamp says a classmate and a teaching assistant stepped outside to investigate — and were fired upon. The shooter missed, and the two ducked back inside, giving the class just enough time to barricade the door. "It was literally like table up, desk up, shooter at the door. It was a matter of seconds," Hamp says. Lisa Hamp has been raising money for non-physically injured victims of the Virginia Tech shooting to attend a weekend of remembrance events. The shooter tried to kick open the door and began shooting through it. Hamp and her classmates huddled on the floor, pushing against the door, as bullets flew above their heads. "He would kick it and the door would like swing open a foot, and we would push back," Hamp recalls. Even so, Hamp and her classmates were relatively fortunate that day; unlike so many others, they were able to keep the shooter out. In the aftermath, she says she struggled to figure out how to feel. "At the time, I think I thought that I was undeserving, I was unworthy, that I lucked out, that I just needed to be quiet and make myself small. Because there's this other population of people who have it so much more worse than you do, so you just sort of need to shut up, hold it in, and keep moving," she says. "But that doesn't really work in terms of recovering and healing." 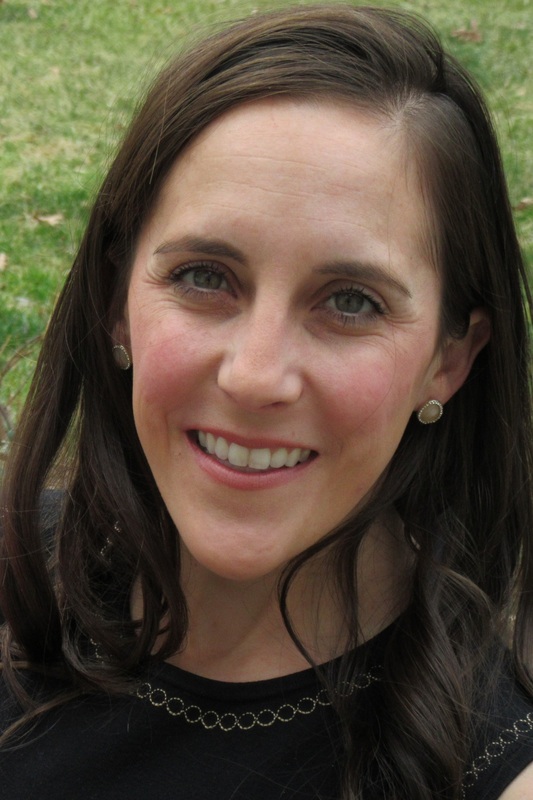 Hamp spent years struggling with an eating disorder that she says contributed to infertility, before finally seeking help. It worked: at 31, she now lives in northern Virginia with her husband — and infant daughter. She's working as an analyst in the defense industry. Alec Calhoun, now 30 and an engineer living in Raleigh, N.C., was in a solid mechanics class on the day of the shooting. He jumped out of a classroom window, mildly spraining a rib. He went to the emergency room to get checked out, but says he didn't require treatment. He says he has struggled with survivor's guilt. "I have talked to folks that had significantly worse outcomes — both injured, and now parents of people who were killed," Calhoun says. "I feel guilty at some level that it could have been or should have been me." Though the university categorizes him as injured because of that hospital visit, Calhoun says his impulse in the aftermath was to minimize what he'd gone through. "I think in my own head I didn't want this to define who I became, and so I largely tried to ignore it. And what changes actually did happen to me, I didn't want to think about and talk about," he says. Clayton Violand says he was the only student to walk out of his French class in Norris Hall physically unharmed. Clayton Violand has also struggled with feelings of guilt and uncertainty about how to think about his place in the event and its aftermath. Violand says he was the only student to walk out of his French class in Norris Hall physically unharmed. Some didn't make it out at all. "It was very confusing for me to be in that position of not being physically injured. The main question for me was kind of where do I place myself. Am I a victim? Am I not a victim?" Violand says. Immediately after the shooting, he says he felt elated to be alive. He described his experience in an interview with NPR soon afterward. "If I go back and listen to that interview I did with you, it's like hearing a different person speak, you know," he says. Within a few months, Violand says he began experiencing symptoms of anxiety, depression, and post-traumatic stress. 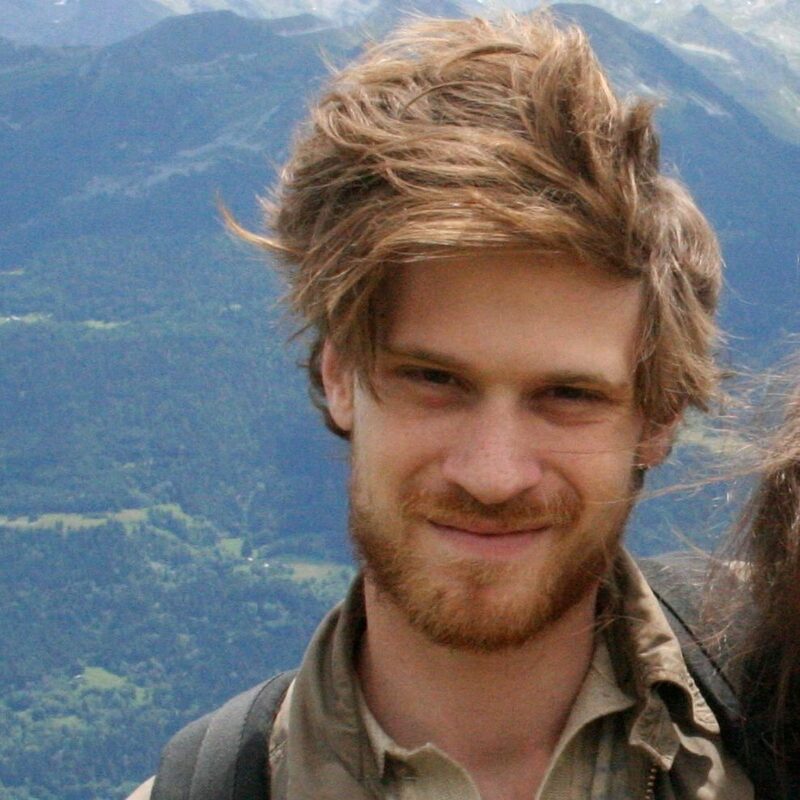 Now 30, he lives with his girlfriend in Berlin, where he works as a data scientist for a solar energy company. He says the question of what it means for him to be a victim has been the central theme of years of therapy since the shooting. "I'd like to say that the shooter took my lightness away. My lightness of life," Violand says. "It's kind of harder to see the good side of things sometimes." 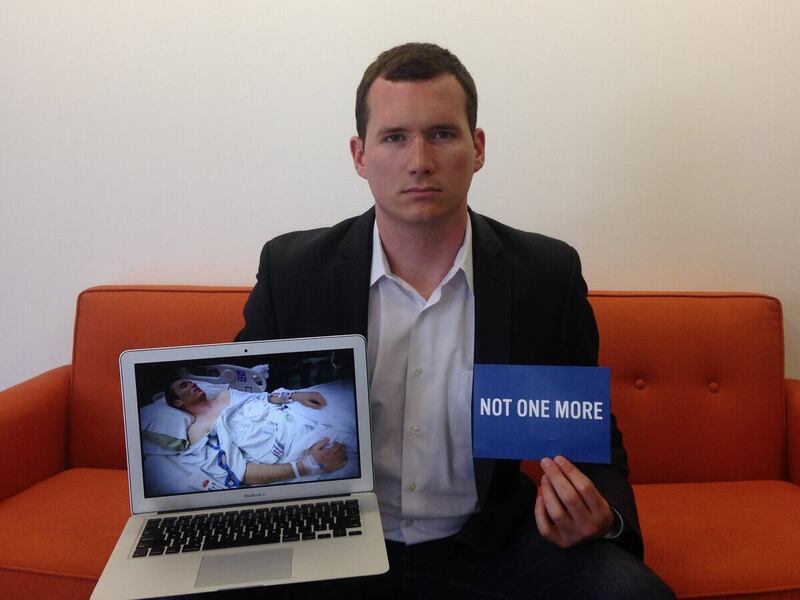 Colin Goddard was in French class with Violand, and was shot four times. He still has bullet fragments in his body, but says he feels fortunate. Colin Goddard was shot four times, but says he received an outpouring of support as he recovered. He worries about others who didn't get the same kind of support. "I have scars, but if you saw me on the street you'd never know. Very lucky," Goddard says. "I did nothing different than people next to me." Now 31, Goddard is married and the father of a baby girl, and working on an MBA in the Washington, D.C., area. He says he received an outpouring of support as he recovered and the chance to reach out to other injured survivors. He worries about Violand and others who didn't get the same kind of support. "I just think that if you saw, if you heard, if you were in that building, you know, you were just as victimized and traumatized as everybody else was," he says. Some survivors, including Lisa Hamp, feel Virginia Tech could have done more to help students who witnessed the events of April 16. "[I want] to be included and treated as a survivor. It's really that simple. Sort of the acknowledgement and recognition that what we went through is traumatic," Hamp says. Virginia Tech spokesman Mark Owczarski says thousands of people were "deeply affected" by the shootings. He says the university decided, in consultation with victims'-rights advocates, to focus its highest level of support on the families of the 32 people killed, and 25 other people the university considers physically injured. "We had to make a decision about where we could focus our resources — both financial, human, and otherwise — towards those affected most profoundly," he says. Hamp, meanwhile, has raised several thousand dollars to send other survivors to the 10-year anniversary events. She says she hopes the weekend will be a time of healing for everyone — and she looks forward to reconnecting with the classmates she says helped save her life. "We all probably have had different levels of trauma; we've all reacted to it differently," Hamp says. "But getting together can help us heal, still."